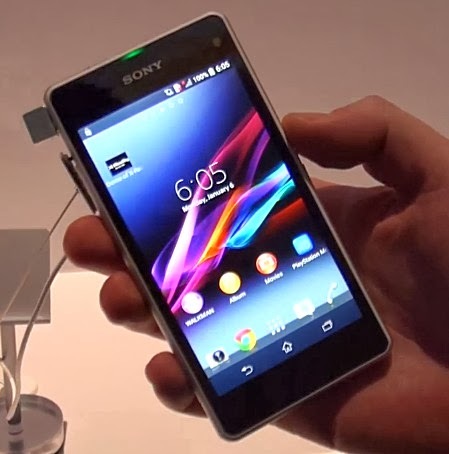 Hello dear Sony Xperia Z1 users! Welcome to our very first tutorial for Z1! We plan on adding additional tutorials about this device in the near future so keep visiting our site for more. Whether you are using your internet server provider’s email or from a third party , you can always easily configure one so you can check your messages on the go. Enter your data connection name by tapping Name. You have to contact your internet service provider for this information. If you are using a third party email like Gmail, Hotmail, Yahoo, etc, just Google it. Tap APN then tap OK after entering the correct APN. Tap MCC and enter your correct country code. Hit OK once done. Tap MNC and enter the correct network code. Hit OK once done. Select APN type by tapping APN type. Enter default then hit OK.
Save and activate data connection by tapping the Menu icon. Tap the field beside the data connection to enter information for it. After ensuring that your device has been configured for internet, follow the steps below to finally set-up your email. Go to the Menu screen and tap Email icon. Select the correct server type by tapping on the following: POP3, IMAP, Exchange Active Sync. Enter the username for your email account. Enter the correct incoming field server. This depends on your server type so make sure you have enough information about your email account type before proceeding. If you have no idea, just search it in Google. Enter the incoming port by tapping the field below Port. You want to turn off encryption of incoming email by tapping the drop down list below Security type and selecting None. Turn off deletion of email on server by tapping the drop down list below Delete email from server. Enter the outgoing server information. Enter the outgoing port by tapping the field below Port. Turn off encryption of outgoing email by tapping the drop down list below Security type. Turn off SMTP authentication by tapping Require sign-in. Tap the drop down list below Inbox check frequency and select either Manual or the required period. Finish the setup by tapping Next. Wait until your phone is done fetching all your emails. Go to the Home screen and tap Applications. Wait for the phone to reboot and finish the reset. Today’s mobile apps are amazing. Depending on their purpose, apps help countless people do jobs more efficiently, maximizes their enjoyment, among others. But apps are not perfect and can work erratically. While performing a factory reset can be a quick fix in most software-related issues, deleting an erratic app’s cache or clearing its data can become a real time saver. A master reset deletes everything on your phone including all the apps you have installed so it can be a pain to do it when you can surgically fix an app problem by clearing the cache or its data. Deleting an app’s cache is normally performed if you encounter chronic app issues. If you keep experiencing performance issues when using a particular app, chances are that specific app’s cache is corrupt. Here are the steps on how to clear cache and data of a Sony Xperia Z1 app. Selecting Clear data is like reinstalling the app so don’t be surprised if the next time you will use it, you may have to sign back in or re-customize it. Tap and hold the Power off key. You will know if you have successfully performed Safe Mode procedure because you will see the test Safe mode in the bottom left side of the screen. Turn off the phone the wait for a few seconds. Once the phone has been fully powered off, press and hold the Power and Volume Down keys, then release them when the phone has been booted completely.